RockTops is committed to giving our customers up to date information about the countertop options available today. This allows each individual the knowledge to make choices that will best fit their lifestyle and décor. Here is some basic information to help you through the forest of wives tales and internet misinformation we hear about every day. Granite slabs are a product of nature, mainly consisting of quartz and feldspar minerals. Any number of other elements will make up the final percentage, each adding to the seemingly endless variety of colors and patterns available. It is a very durable countertop option, scratch, chip and heat resistant. With sealer applied, it is also stain resistant. Granite is porous and needs to have sealer applied to slow down the penetration of liquid. Don’t let this be a reason to steer clear of granite! Here at RockTops, we apply two coats of sealer to every natural stone during the installation process. If you use the recommended cleaner, you will never have to apply sealer again! More than 50 years ago, the first engineered quartz slabs were manufactured. Today, we simply call it “quartz”. Most brands have between 90-95% natural quartz content, the other 5-10% is the color pigments and the binder that holds it all together. Natural quartz is one of the hardest minerals, making the slabs produced very durable. 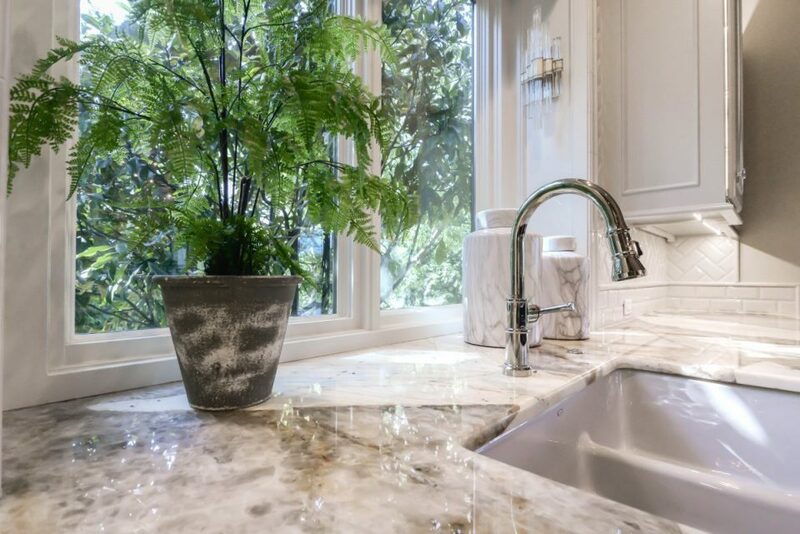 Like granite, quartz slabs are scratch and chip resistant. There are no pores, so no sealer is necessary. However, it is not stain proof. We consider it to be stain resistant. High heat is not recommended. 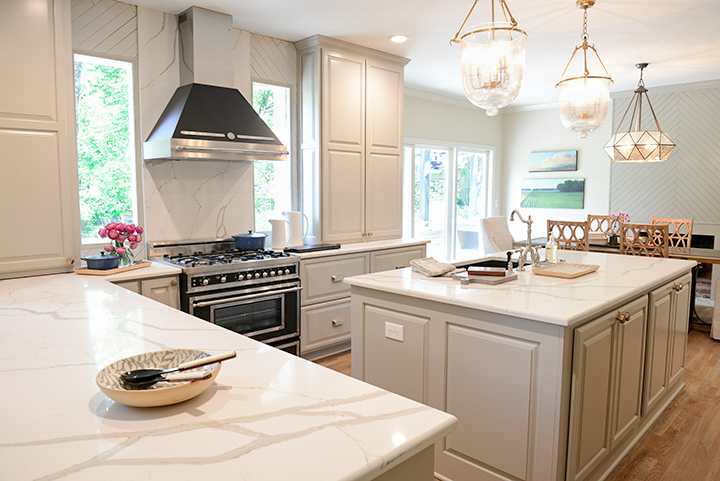 From a budgetary perspective, there are almost an equal number of choices available in both granite and quartz at the same low price points here at RockTops. Since neither is scratch proof, chip proof, stain proof or bullet proof, there is truly no reason to pick one over the other. If you are still concerned about sealing granite, we have a sealer warranty available to ease your mind. No stains for 20 years, Guaranteed! Stop by our showroom and see what you like the best, Granite or Quartz?